Puzzles are loved by all. 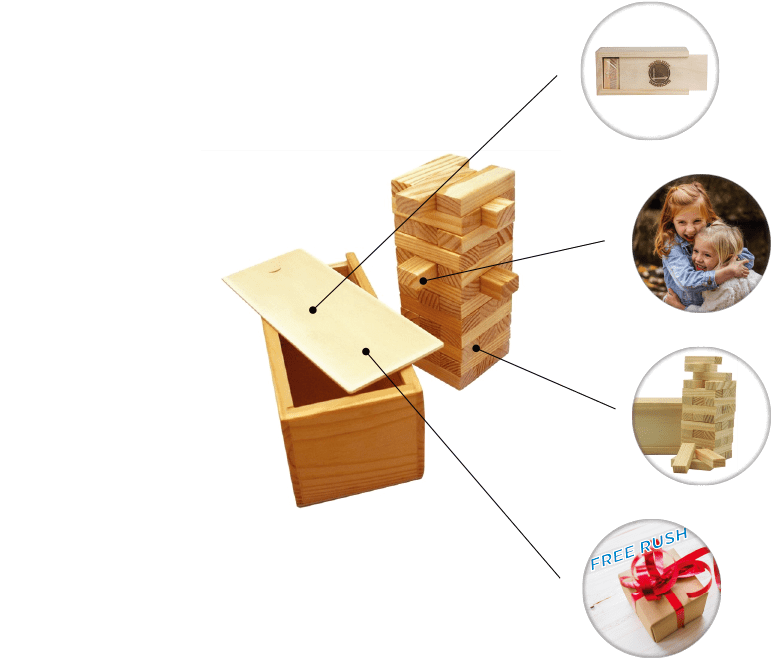 This Eco-friendly wood tower puzzle game will be a marketing hit at your next tradeshow or event. Customized with your company's logo or slogan your clients will truly appreciate the fun they will have with this as your promotional giveaway. The test is to remove one stick at a time without causing the tower to tumble. This puzzle has 36 pieces. Due to the handmade nature of this natural wood product, made from pine, absolute uniformity of size and color cannot be guaranteed. If you run a business that caters to children or families, these are great to have around as a fun activity. The cover of the box can not only be lase engraved, it is available with Pad Printing or full color four process printing. 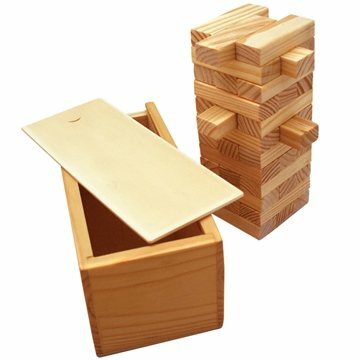 Need promotional wooden tower games in a hurry? We've got you covered with free 3-day rush producttion. 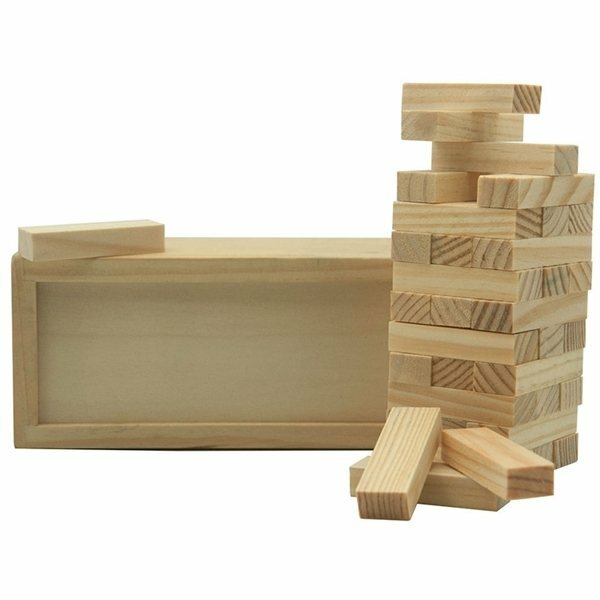 If you find these custom wooden tower games cheaper elsewhere, AnyPromo won't just match the price, we'll beat it. Due to this product's variance in composition, laser engraving may produce different shades of imprint. The product is nice but 1/4 of them arrived broken in the packaging. They make a great gift though! Great stuff! From the tumbling tower to the packaging—it was done with excellence. They also honored a discount code which was awesome. Good quality, nice for colors. They're perfect....precisely what I needed! this is one of my all time favorite promotional items. They looked very expensive, yet cost me very little! Please add info@anypromo.com into your address book to ensure delivery.